Happy Birthday, Town of Fountain Hills! Join in the Celebration, as the Town of Fountain Hills commemorates its 25th Anniversary! 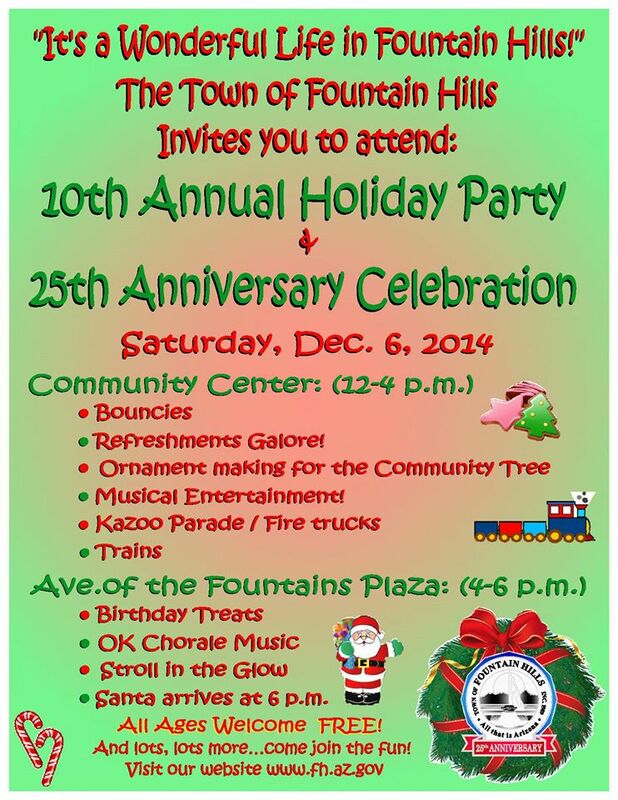 The Town of Fountain Hills will be celebrating 25 wonderful years as a Town on Saturday, December 6; 12-5 p.m.! Festivities begin at Centennial Circle in the Community Center Complex with an afternoon of family fun, games, commemorations from former Mayors, and last but not least, a celebration for our great town! This entry was posted in Area Events and tagged Town of Fountain Hills. Bookmark the permalink.